elected IPR South Central division. 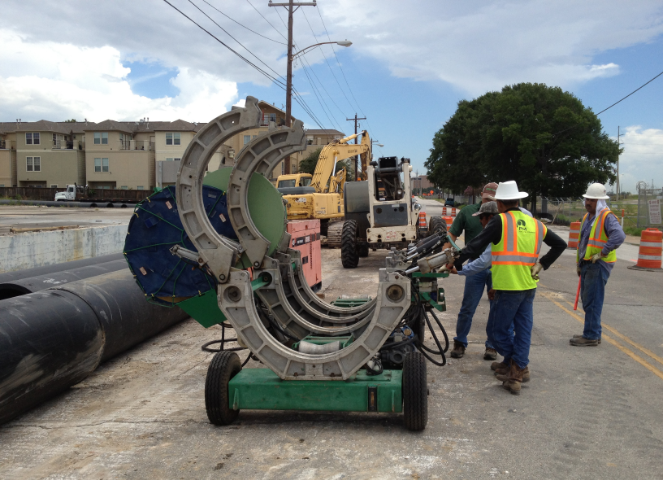 IPR South Central performed the pipe bursting rehabilitation solution. About 2,234-lf of the project would be replaced using pipe bursting techniques, 189-lf would use the CIPP method, and 997-lf would be done using open-cut. Using these trenchless methods for repair allowed a faster restoration time, less overall expense, and minimal disruption. IPR South Central worked with OCI on supplying two 18-inch lines to carry bypass and drained out the retention pond to reduce any disturbance. Pipe Bursting is a trenchless rehabilitation method of installing High-Density Polyethylene (HDPE), PVC or Ductile Iron pipe into damaged or deteriorated water and sewer lines. During the process, a bursting tool is guided into an existing pipe with a constant tension winch. The tool is equipped with an expander. As it travels through the host pipe, continuous percussion breaks the host pipe apart. 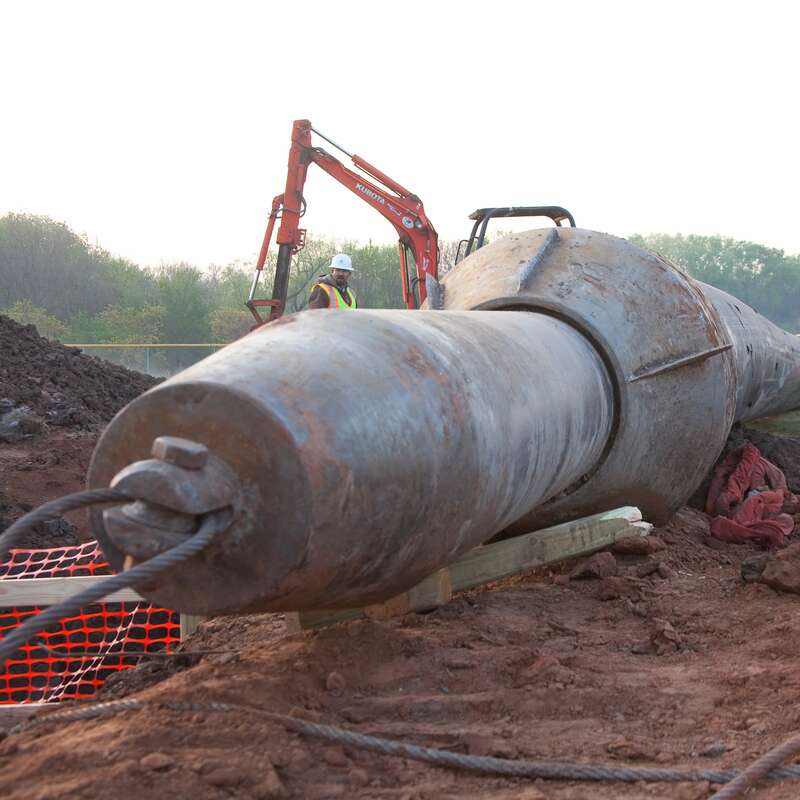 The expander forces the fragments into the surrounding soil, while the new pipe is simultaneously pulled in place behind it. In result of IPR’s access to an abundance of trenchless repair options, the project was a financial and logistical success. Dallas officials did not receive a single complaint during the project and residents were able to continue their daily routines. 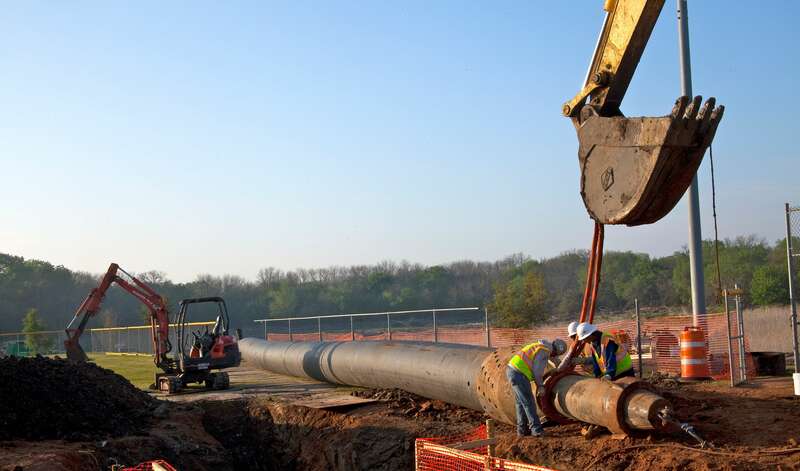 The repairs surpassed the expectations of the city in addressing the corrosion problems, increasing the diameter of the pipe, restoring structural integrity to the line and improving its drainage. IPR’s innovative use of its solutions and positive collaboration with its parties enable a successful outcome for the City of Dallas.